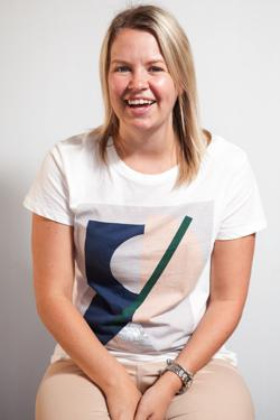 Building on the significant foundation established by Peter Corney, Karl Faase and more recently Julian Dunham, Arrow Leadership is excited to share that Catherine Tallack will join the Arrow staff team as the Emerging Leaders Program Director. Cath brings to the role an abundance of passion fused with a unique set of experiences and expertise in developing Christian leaders to serve, love and lead the next generation. The ministry of Arrow Leadership aligns deeply with Cath, who senses God's grace upon her to empower and raise up leaders to work in the Church in Australia. Cath has been part of Arrow as a participant, State Coordinator, Facilitator and Coach. “I am looking forward to walking alongside emerging leaders in the local church in Australia, hearing their stories and seeing what God has planned for their contribution to the Kingdom,” shared Cath. From 1 May 2017 Cath will commence in a full time capacity, whilst Julian transitions over the following few months to assume exclusive focus on the ministry of growing Christian leaders in developing countries. Our ability to engage, stretch and release leaders around this great nation is enhanced through this strategic appointment. Cath joins Arrow Leadership as the Emerging Leaders Program Director. She began pastoral ministry at Gateway Baptist Church as the Children’s Pastor in 2009 and moved into the role as Generations Pastor (overseeing kids, youth and young adults as well as leadership development of the church). Cath is passionate about seeing leaders developed and be given the opportunities to achieve the potential that God has placed within them. She is an avid reader on leadership and the life of the Apostle Paul as well as good crime fiction. Cath is married to Michael, who is a doctor and together they are parents to Henry.